England's world No. 4 Rose fired a 64 to take the 54-hole lead at 17 under, with American Xander Schauffele (67) and four-time major winner Rory McIlroy (63) sharing second at 16 under. Rose can go to world No. 1 for the first time in his career with a victory or even a runner-up finish at the second last event of the $US67 million ($A93 million) FedExCup playoffs. Leishman is projected to drop to 29th on the FedEx standings and needs a solid final round to remain in the top 30, who advance to the Tour Championship. "I good final round is really important when your season is one the line, I guess," Leishman said. Adam Scott also carded a four-under 66 to finish at two under. 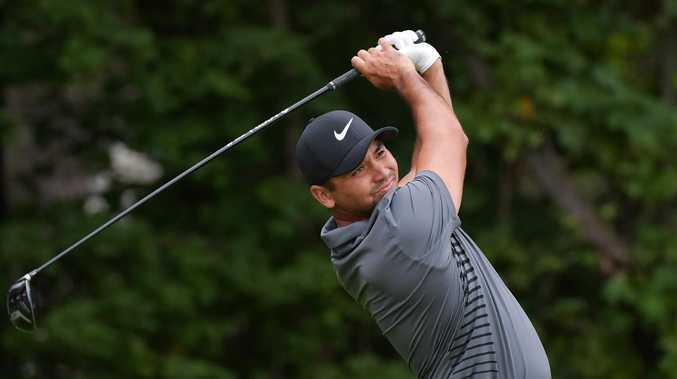 At 48th on the standings, Scott can progress to the Tour Championship but he will need to finish at least in a share of sixth to have any hope. "I've got one more round to play but it looks like I'll have to shoot 59," Scott said.